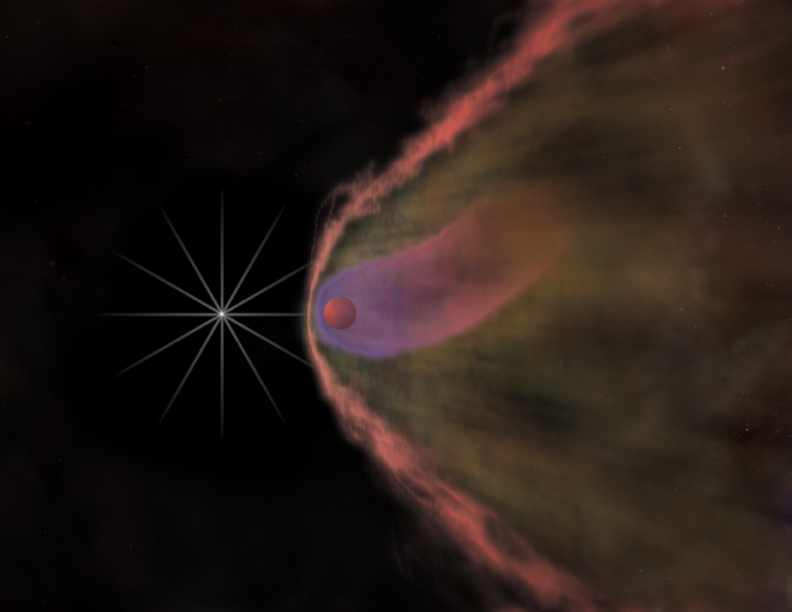 On a scale about a million times smaller than the figure above, the pulsar's high-energy wind also has a dramatic effect on its companion star, which orbits the pulsar every 9.2 hours. 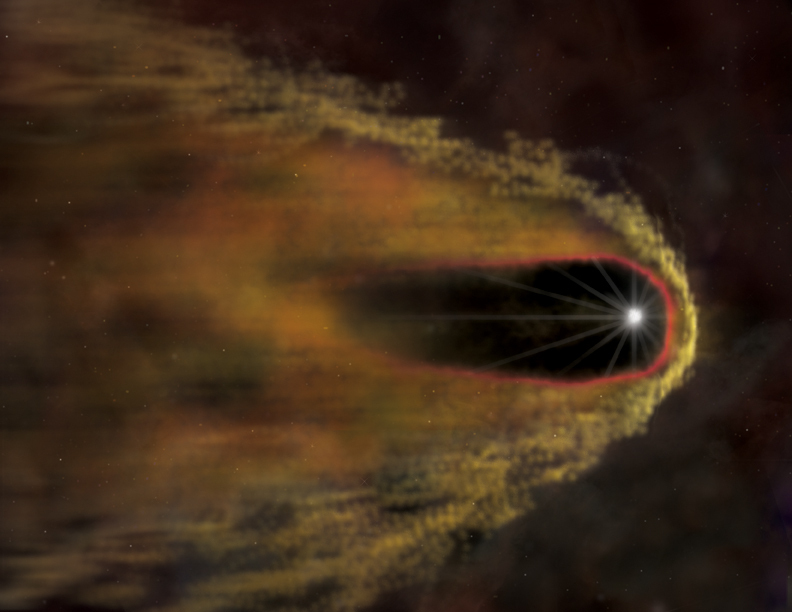 The pulsar is shown as a white dot, with its wind flowing out at high speeds in all directions. 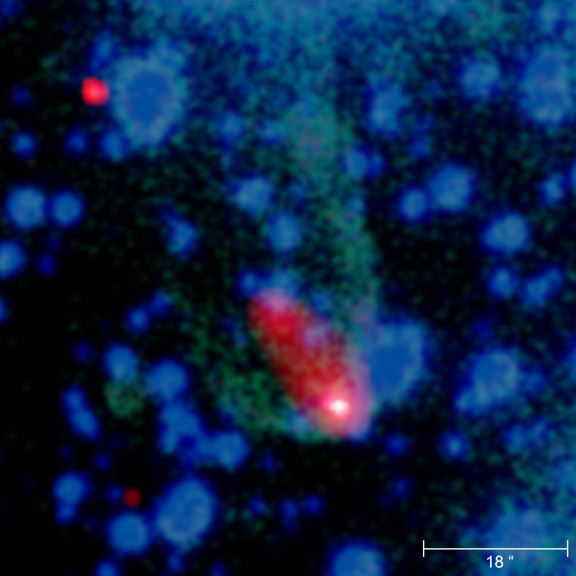 This X-ray image reveals an elongated cloud, or cocoon, of high-energy particles flowing behind the rapidly rotating pulsar, B1957+20 (white point-like source). 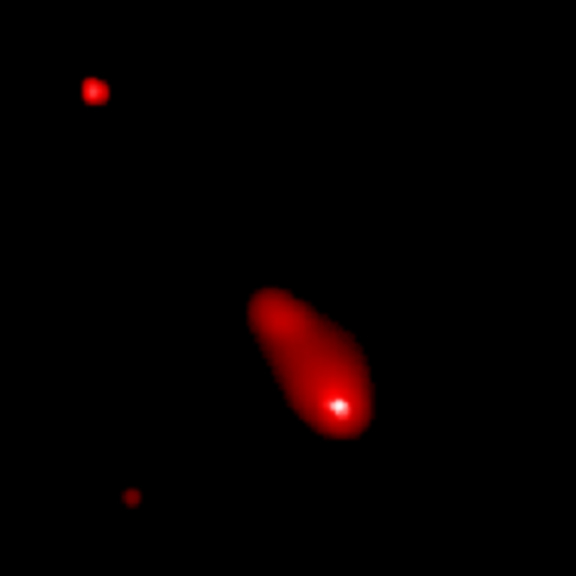 This optical image was taken on August 3, 2000 with the Anglo-Australian Telescope. 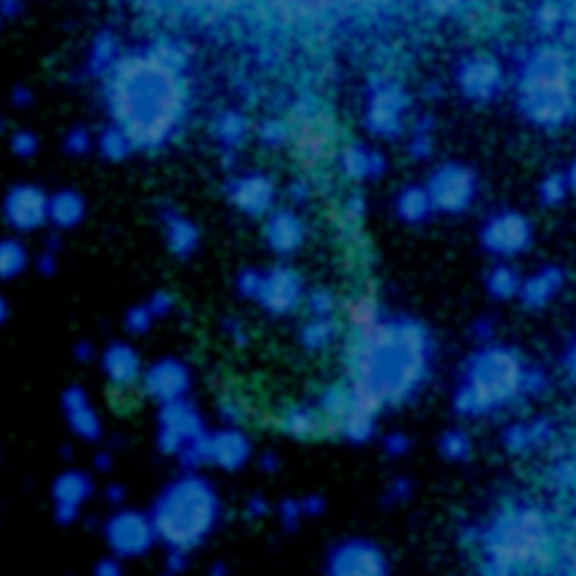 Blue represents the continuum optical emission, and green depicts line emission in Halpha.